We certainly hit the ground running in February with a great variety of activities and events. 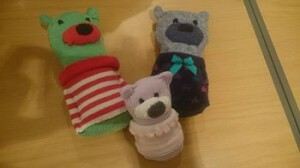 Our first Member’s Meeting took place in February and a very constructive meeting it was. 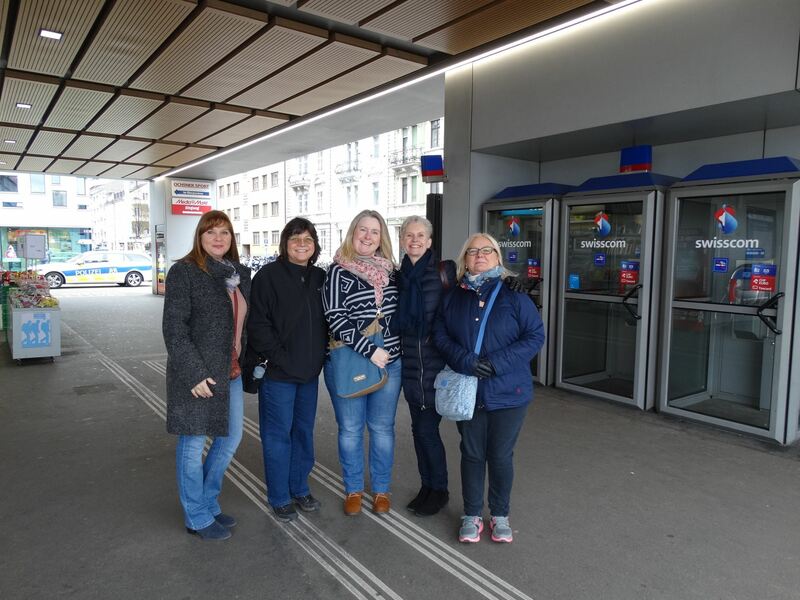 The minutes were uploaded to the IWI Basel Facebook page. 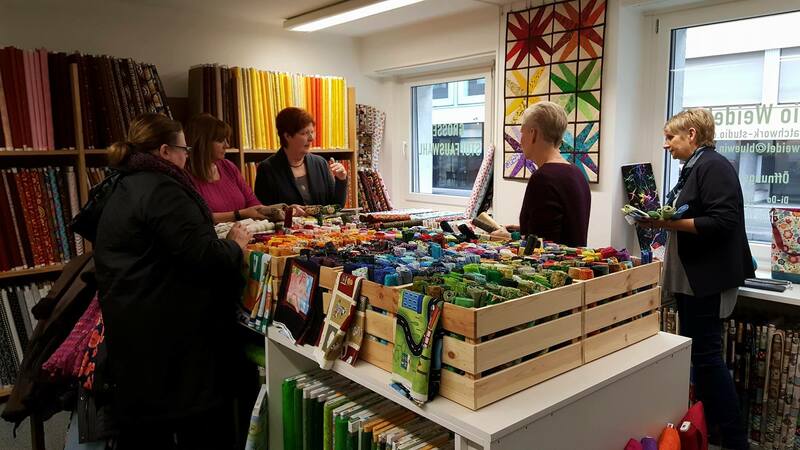 Our craft events got off to a great start with a visit to the Patchwork Studio on Güterstrasse where members were able to view an incredible number of different fabrics for sale (and of course we didn’t just look at the fabrics!) 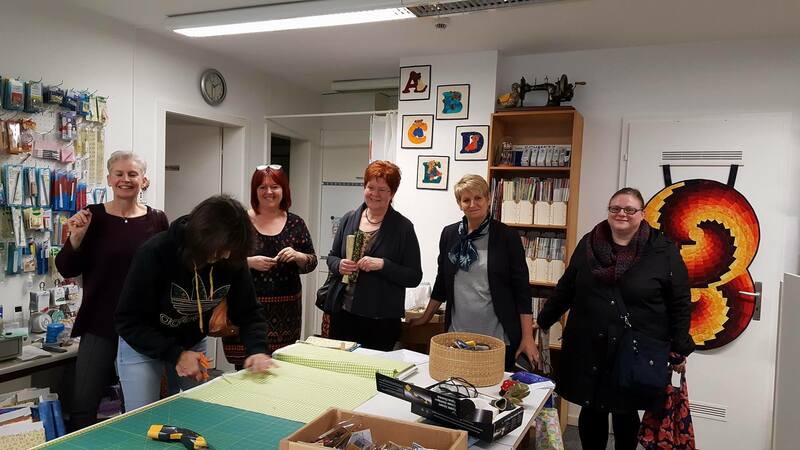 to get ideas for what they would be making at our first craft event – An Introduction to English Pierced Paper Patchwork. Just look at the fabric on offer! Having decided on the fabric and what was to be made we all enjoyed a relaxing evening cutting out our ‘hexies’ and sewing the templates at our first craft event of 2017. And now for something completely different!! 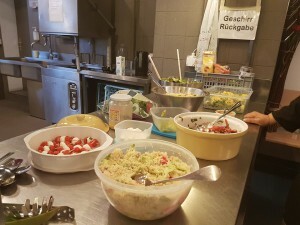 A visit to Solo Uno in Rheinfelden where we had the most relaxing and de-stressing time. Very highly recommended! The salt water pool was incredible! The heated outdoor pool was fabulous and the relaxing morning was followed by a totally relaxing lunch. Can’t wait for the next visit. Next saw the first of our monthly walks, kindly hosted by Clare Wadsworth. 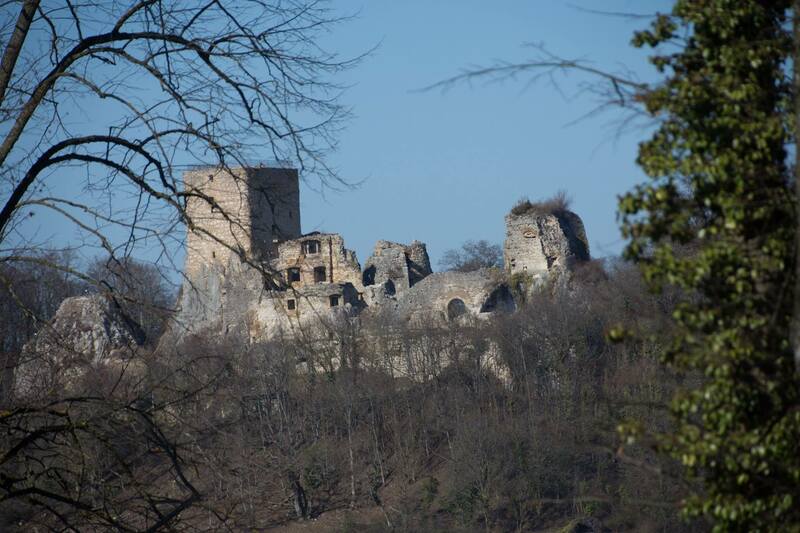 A beautiful walk in the woods and hills around Mariestein was following by a delicious coffee which we drank sitting outside on the terrace! A lot of people were out and about walking and enjoying the fantastic weather. An amazing, though hazy view, of the Roche Tower as well as Landskron to say nothing of the quirky planter seen along the way. February also saw the first Brocki visit of 2017. This time the focus was on Güterstrasse where we find 4 Brockis including the Bücher Brocky where you can browse through a collection of 10,000+ books! Everyone found some treasure to buy. Finally, there was our first International Kitchen of 2017 and this was a Cheese Making Demonstration followed by a Cheese & Wine Apero at Markthalle. The demonstration was given by the owner of MYLK, a new and unique cheese producer in the heart of Basel. Hess produces his own cheese, yoghurt, and quark as well as selling other cheeses from well-known artisan producers. The cheeses on offer range from fresh soft cheeses through semi-hard and hard cheeses. 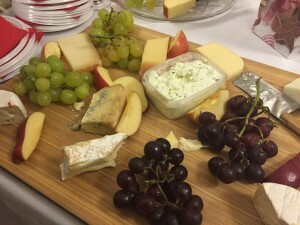 Following the very interesting explanation of the cheese making process, the IWI sampled a variety of the cheeses on offer and were also able to purchase some to take home. 11th March – The Material Event at Weil am Rhein. 26th March – Jam & Chutney. A session to make goods to sell at the Bake-Offs and to provide participants with some samples to take home! Welcome to 2016 and Happy New Year to you all! 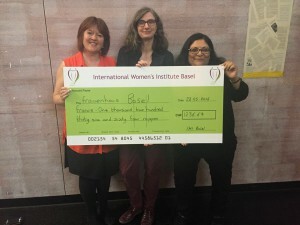 Our outgoing Chairwoman gave a sincere and warm welcome to our new Chair and thanked all of the members for her experience as our Founder of the IWI Basel Group. We can’t thank our Founder enough for her dedication, commitment and time for her enormous efforts to bring us together last year while we figured it out, made the best of it and came into the new year with over 50 members and several new friends in the process. A gift was presented to her and a toast for 2016 was made for all of us and the new committee volunteers. The treasurer reviewed the 2015 expenses and balances and gave us grand totals for our charity donations. Well done IWI! As with last year, the IWI Bake Offs will be our main charity events in 2016. 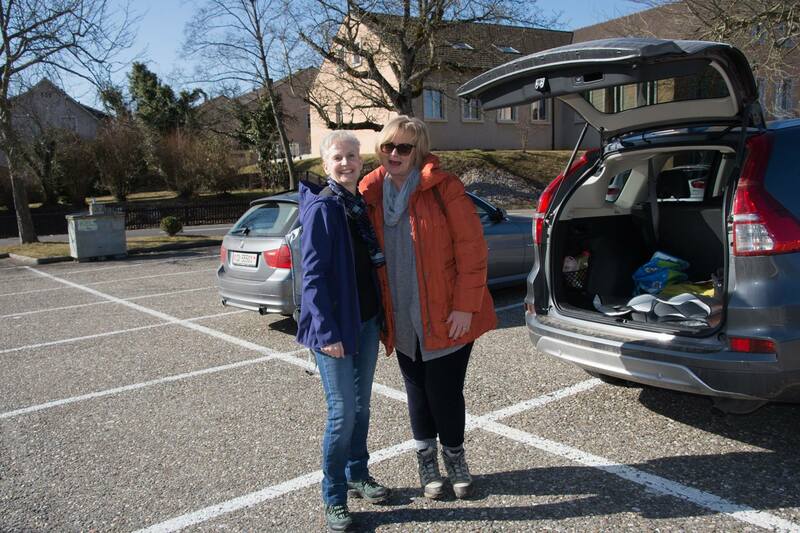 Raising cash for local charity organisations, Frauenhaus, Soup n Chill and Surprise Strassenchor were our best achievements. This year however we are also open to other charity endeavours our members may be interested in supporting. The events committee have discussed having collection points at the monthly meetings for different groups. While sipping cocktails and nibbling grapes, cheese and crackers, we discussed the February agenda. What a busy month it’s going to be! We have events planned for February as following: a movie and after-movie drinks on the 5th, pre-show drinks before a show on Friday the 12th, Fondue and Fire on Saturday the 13th, a group walk planned for Wednesday the 17th, a coffee morning on Tuesday the 23rd, and a Crafty Cafe night on Thursday the 25th. And we are planning March activities too! February 6th International Comedy Club. 8pm at Kuppel, with Dave Fulton and Funmbi Omotayo. February 13th Tanznacht40. Dance party for 40+. 9pm to 3am, Querfeld-Halle, Dornacherst 192. February 14th Chienbäse parade in Liestal. Officially starts 7.30pm, but it is advised to arrive early. There is a lot of smoke and flying embers, so it’s a good idea to wear old clothes! February 15th Basel Fasnacht (D’drey sheenschte Dääg). Starts 4am ends 4am Thursday 18th. Gugge Concert at Marktplatz 7.30pm until 11pm. February 20th International Comedy Club. 8pm at Kuppel, with Hal Cruttenden. Sundays 21st , 28th and 6th March Bummelsonntage. Random musicians wandering through the city playing instruments.